A woman in Iowa is facing trial this week on charges of abuse against her boyfriend’s young son, who reportedly took the stand to testify against her on Wednesday. According to the Des Moines Register, 40-year-old Traci Lynn Tyler is accused of confining the 8-year-old victim to a dark box underneath their home’s basement staircase. In court on Tuesday, Assistant Attorney General Tyler Buller said prosecutors have video evidence that the boy was held captive in the space without adequate access to necessities including a lavatory. “This part of the crime is on tape,” he said, describing the young boy as in pain from being deprived from a toilet. Defense attorney Aaron Siebrecht, however, claims prosecutors are misinterpreting the footage, stating that there is “no intent, there is no injury, there is no kidnapping” depicted therein. The boy’s father, 30-year-old Alex Craig Shadlow, is also facing a criminal count of kidnapping in the first degree related to abuse police believe occurred between July and September of 2017. They allegedly kept the boy in an enclosed space measuring six square feet for nine hours or more each day. Police say a door to the area had a lock on the outside, which Tyler and Shadlow allegedly rarely opened, primarily to let him attend school nearby. Teachers and administrators reportedly voiced concern when the boy arrived at school on the first day of his third-grade year appearing sickly. His teacher, Cam Schipper, described his appearance as “like a skeleton” while the school’s principal said he “not the same” child she had encountered the previous school year. The alleged victim reportedly confided in teachers, explaining that he was being held captive in the small basement space, though the defense plans to call on at least two expert witnesses who say they did not find evidence that the child had been subjected to torture. While Tyler argued that the child had been soiling himself, leading her to the unconventional treatment, witnesses for the prosecution are prepared to say he did not appear to have these problems in other environments. The alleged victim, now 9, appeared in court to answer questions, as reported by The Courier. The boy reportedly held onto a Paw Patrol Chase stuffed animal as he took the witness stand, telling the judge that he “couldn’t get out” of the enclosure, describing the basement pen as “super cold.” He reportedly choked up a few times while on the stand, prompting a guardian ad litem to ask the judge to allow him a break. Additional abuse he described included Tyler depriving him of food, hitting him with a fly swatter and forcing him to carry a backpack weighed down with rocks. Carol Allen, a social worker who visited the home after receiving reports of possible neglect, testified regarding what she found upon inspecting the home in Eldora. 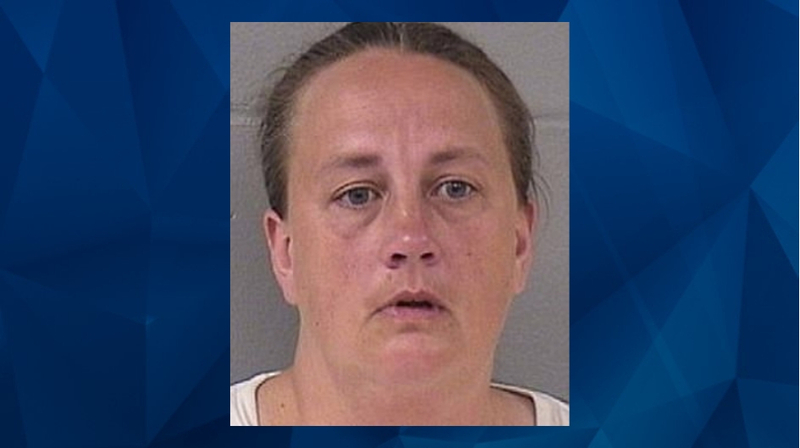 She said she observed a puddle of the boy’s urine and confirmed he did not have a light or any bedding in the locked area, according to The Waterloo-Cedar Falls Courier. “I said, ‘This is unacceptable. This is abuse,'” Allen said.